At this budget, we're running an i5-6600K. This quad-core CPU features an unlocked multiplier for easy and often significant overclocking. While not all games will benefit from overclocking, games like Overwatch can benefit significantly from a faster CPU. Overclocking can also help your CPU stave off obsolescence for a good while longer. All of that being said, if you're not comfortable overclocking, you can save money by stepping down to an i5-6600, removing the non-stock cooler, and going with a cheaper H170 motherboard. If you do remove the CRYORIG R1 cooler from your list, note that the i5-6600k does not come with its own cooler, and you'll have to add one. The i5-6600 does come with a cooler. As mentioned above, our selected cooler is the CRYORIG R1 Ultimate. It's a beefy, high-performance cooler and keeps with the black and red theme. We have five black and red motherboards that allow overclocking via the i5-6600k's unlocked multiplier. Each includes 4 DIMMs for up to 64GB of RAM at several overclockable RAM speeds. They also include some basic expectations like a USB 3.0 header. They all have 6 SATA 3.0 connectors, while some are shared with a SATA Express as well. Additionally, SLI/Crossfire is an option down the road with these boards, though you'll want to make sure your PSU could handle multiple GPUs if you go that route. For memory, we're filtering for the best-priced 2x8GB kit of black and red DDR4 RAM. Feel free to click the "From parametric filter" link to see the various options and pick a color that suits you. With how fast RAM is these days, aesthetics will likely matter more to you than the negligible performance difference faster RAM provides in gaming. We're also taking a sparse selection of roughly 1TB SSDs that have proven to be fast, and we're including a filter for the most inexpensive 3TB mechanical hard drive. Everyone's storage needs differs, so feel free to change those capacities to your heart's desire. Our GPU is the very popular GeForce GTX 1080. 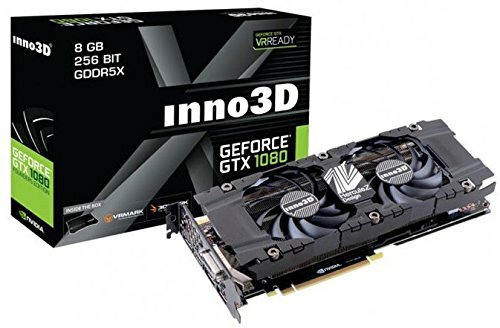 This is currently one of the fastest single GPU video cards in the market - you may want to look into a 120-144Hz and/or 2560x1440 resolution monitor for this bad boy. The parametric filter is set for the best-priced 1080 available, but feel free to click the "From parametric filter" link to browse our listing of 1080s. For those interested in VR, the GTX 1080 will have no problem playing any and and all applications currently on the market. All of our parts are housed in the NZXT H440 Matte Black and Red edition. In addition to rounding out our black and red theme, this case features a tinted window, 2 front panel USB 3.0 ports, and 2 front panel USB 2.0 ports. It has excellent cable management, a plethora of hard drive mounts, and if you'd like to mount a radiator, you'll have a variety of options. It also has a nice, red PSU shroud at the bottom to keep your build looking clean. In addition, silence is a focus with the NZXT 440, so there is a significant amount of sound dampening foam included on the panels. Be warned that the foam will decrease clearance behind the backplate, so chances are the cables will push into the foam and leave marks. Fortunately, it's in a place that no one will actually see. Cases tend to be highly personal choices, so make sure you browse our listed cases to see what suits you. So question for the staff member since I'm pretty new to the whole PC building scene. Is there any reason to go any higher than an i5-6600k for a gaming build? I'm not rendering footage, streaming, or using any other high demand processes (aside from running a heavily modded Skyrim). From what I have read and seen, an i5 should handle everything I want to do but I just wasnt sure if an i7 would be something worth investing in for future games coming out like Battlefield 1 and the Skyrim remaster. Thanks. I really appreciate the link. I think I will be going with the i7 just because of how fast technology falls off nowadays. Im pretty privileged in the fact that my budget is quite a bit larger than most so investing in the future seems to be a good plan. I think he's referring to how an i7 will remain relevant for a considerable time longer than i5, just as Sandy bridge i7's are still quite good today. Thanks for the info. I'll take it into account in the future. Also, any plans for some NAS / HTPC / rendering / workstation type of build guides? Or build guides that aren't built around the parametric filter? Thanks. Also, any plans for some NAS / HTPC / rendering / workstation type of build guides? Or build guides that aren't built around the parametric filter? We just use the filter where appropriate. Prices change far too frequently over time, and both prices and stock change greatly depending on country. Parametric filters are not a perfect solution, but it's better than static parts that are bound to be beat, often very quickly, or even immediately in certain countries. Nice, how about some builds with color themes like red and black, blue and white, white, black, yellow and black, yellow etc. and so on? Edit: I just noticed that this is a red and black build. We rotate through color schemes occasionally. At least on the higher end builds. Optical drives aren't necessary anymore. You can install your OS with a flash drive, and most people don't use physical media for their PCs these days. That being said, there's nothing stopping you from adding an optical drive yourself, so long as the case you choose supports that. No OS is included for a variety of reasons, but the main one is that it's outside the scope of the guide/part list. This is strictly about the hardware in the box (and the box itself). No, that won't work because the NZXT H440 case used in this build guide has no external 5.25" drive bays and therefore has no ODD support. Optical drives aren't used very much these days and many cases, including the NZXT H440 used in this build guide, are retiring ODD support by removing 5.25" drive bays. Well Windows is kind of a matter of personal preference (although it could also be argued that the whole box is a matter of personal preference). For example, most people think that Windows 10 is the best, but I don't like Windows 10 because of all of the tracking and I just prefer Windows 7 / Windows 8.1 instead. Changed the expensive Cryorig R1 Ultimate CPU cooler to the less expensive but still sufficient Cryorig H7 CPU cooler. It appears that your last version of this build guide used the H7, so perhaps you switched it to the R1 Ultimate since the H7 is currently out of stock? Changed the PNY CS1311 SSD to a smaller but faster Samsung 850 Pro SSD for less. Changed the 7200 RPM HGST Ultrastar 7K3000 HDD to an in fact faster 5400 RPM WD Blue HDD for a little more. Overall, this build is slightly less expensive. I'm considering this bracket of PC's as well, so I'm trying to keep on top of this tier and the one below it in the guides. I looked over this build and like it a lot more than the original guide build, nice work! But there's another build posted below. It's about 200 bucks more expensive, but aside from a little more hard drive space and an (arguably?) better GPU, I don't see much difference. A little faster on the RAM but I'm led to believe the speed increase is pretty negligible when it comes to gaming. Can you take a second look at this build you've made, compare it to the build below, and tell me if it's worth spending the extra 200 and why? If the RAM is as negligible as I think it is, and the GPU isn't much better, and the hard drive space is something I obviously don't need then I'm thinking perhaps your build (as shown here) would be a better purchase for me for the long haul. When you have a moment please let me know your thoughts? Thanks! Right thread, but not the OP's build. I was referring to another build that was right above (or below, depending on your filters) your build. Essentially for the Enthusiast build, I'm doing a compare and contrast and I was specifically comparing/contrasting your build and the other person's build (again, not OP's, but another person in the thread) and asking your opinion on yours vs his. The bigger picture for me is comparing the Excellent build against the Enthusiast build, coupled with your build which is less expensive than the Enthusiast build. I'm basically comparing your build to the Excellent build and asking, "Is it worth spending a couple hundred extra dollars to get the extra performance, will it last significantly longer?". I suppose at the moment it's a moot point, but in a couple weeks I'll be making a purchase and throwing all this stuff together. I'm looking at it from an investment standpoint. Then...are you referring to this one? If not, can you permalink the comment you're looking at? No. While aftermarket thermal paste could improve cooling performance, the stock Cryorig thermal paste provided with the CPU cooler will be sufficient as is. What is your budget with peripherals included? Do you need an OS included? What is your budget with peripherals included? The selection you've chosen, I can not deny it. Seems to be a decent price for both keyboard&mouse and monitor. Do you need an OS included? OS included since I've been using Mac iOS for my whole life :P Thanks for your generous suggestions! OS is really to subjective. Personally, I would choose 7 far before 10, but many choose 10. Just avoid Windows 8 (not 8.1). The i5-6600K is a very powerful processor and it's not very far behind the i7-6700K. This build is very similar to my build that I have currently. It's a great build. I'd recommend some 16 gb for a total or maybe even 32 gb total RIPJAW DDR4 ram. Sorry to hear that! It's not an uncommon issue with big heat sinks and big sticks of RAM. You can probably move that fan to the other side of the heatsink. Just make sure it's blowing in the right direction if you do so! I wish I could you send you pics, I did end up moving one of the heat sink fans to the top of the case and made sure it was blowing downward. There are plenty more options than Cryorig and the 212 EVO. Even so, you can contact Cryorig if you want them to ship a CPU cooler to Canada, although they aren't sold at retailers. By the time you take into account the cost of an h7, then the shipping and duties...I can throw a kraken into the build. That's true, but if you really want one you can always have a special arrangement. 1 month late, but what about something from bequiet! ? The board does not support SLI, so this build does not allow you convert later on. Folks actually recommend the K6 which does support SLI, apparently. It is generally recommended to have the best single GPU you can buy and upgrade as you go along. Are the PSU cables mustard color or is it pure black? Just black. The brownish color is only because the product image is extremely low quality. The actual power supply is black and its cables are black. Oh thanks for the clear up, but i have seen some build videos with this PSU and the non modular part of the cable (the 24 pin cable) has mustard color at the end. As far as I can tell from the cables specification page they're all black with tiny gold connector pins at the ends. Might just be photo lighting. Its 60$ cheaper how is it more expensive? Haha no problem I was a little confused at first though. I would like to know, if i buy this build i do install the driver on the company website, for example gigabite? Since the case doesnt have an optical drive, am i right? And i also need to buy windows 10? Yes, because this build doesn't have an optical drive and doesn't support one (even if you tried to add one). As for Windows, another option would be to purchase the USB version which does not require any optical drive involvement. What's your budget for an operating system? The Pro version has a few more features but most people don't need them so the Home is usually the best choice. Every build supports an optical drive. Not true. Many builds use cases without ODD support, including this build. Does this look good to you guys for a black-and-white theme 1440p144hz build? You'll want to replace the mediocre EVGA SuperNOVA NEX power supply with something better quality like a PSU from the gray Corsair CXM series. Really? I thought the EVGA PSUs were the way to go and Corsair was iffy. Nope. Both companies make both good and bad products. You can't judge a PSU by brand unless it's Logisys or Diablotek. 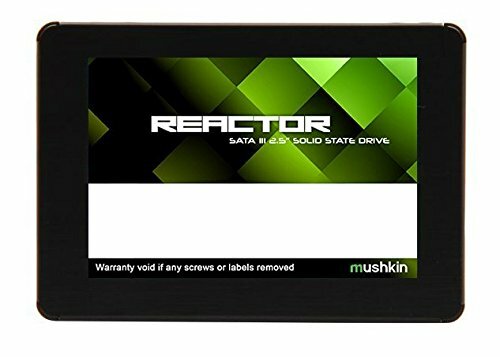 Any monitors you could recommend with this build? The motherboard does not have integrated wireless networking. For a wireless network adapter recommendation, please specify your budget. Shouldn't x99 be a must for an enthusiast build? I know it's unnecessary, but that's what being an enthusiast is about, right? No. Just because it's an enthusiast build doesn't mean that it needs to run on the X99 platform, which supports Intel extreme/enthusiast platform processors. Those processors are good for multi threaded tasks, and the i5-6600K processor used in this build guide is sufficient. But isn't sufficient not what enthusiast pcs are about? Enthusiast PCs are enthusiast PCs; they don't necessarily have to be very high end builds. 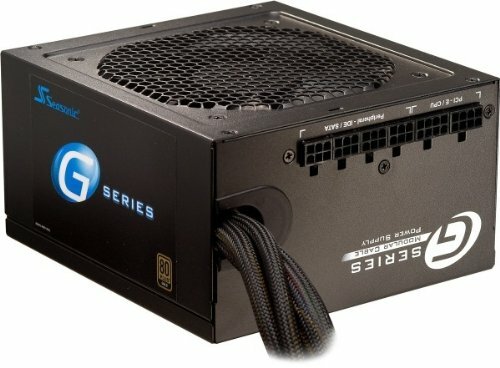 Since this is an enthusiast build, does it mean that it can simultaneously run both stream and game? For example running League of Legends and OPS at the same time? Why not? Just because you have an unlocked (overclockable) processor and motherboard does not mean you are required to overclock. If you don't want to overclock for some reason, you're not forced to overclock just because you're using an unlocked CPU and motherboard. Don't buy this! Ok so this build is a nice one but overkill. Without a decent motherboard you pc will like have some shortages in the future. It does not need a 1080 but a 1070 would do. Also do not waste your money on a 960$ ssd when you could buy a 250 gb one saving all needed files on. The case is good but could be changed. Other than that maybe get a better cooling system for cpu because you will be clocking that very much. The theme is nice though and take some suggestions into consideration. Without a decent motherboard you pc will like have some shortages in the future. The motherboard is more than fine. If you have information that says otherwise, I would be deeply interested to see it. You aren't going to see many motherboards that are actually unsafe for a build. It does not need a 1080 but a 1070 would do. Downgrading to a GTX 1070 is perfectly acceptable, but you can't dictate the performance desires of others. Also do not waste your money on a 960$ ssd when you could buy a 250 gb one saving all needed files on. Similarly to performance, you can't dictate the storage needs/desires of others. Neither can I. That's why I specifically call that out in the description. Thank you for replying, I agree with the bottom 2 statements. BUT feel like maybe upgrading to a newer chipset would be a good idea. A newer chipset? Than Z170? Like what? That's a socket, not a chipset. You seem to be under some odd misconceptions regarding performance and quality. I strongly recommend you work on some further education about PC hardware before making suggestions to other people. meh... id say 6700k and a titan xp is more enthusiast than this. at least a 6700k. I wouldn't get caught up in the semantics of the word. It's always going to mean difference things to different people. Sure, but an i5 is perfectly sufficient for even an enthusiast build and is almost as good as an i7. Also the Titan XP is a very, very powerful video card and IMO would be kinda overkill (too expensive). Not bad other than the waste of money motherboard. Anything with fatal1tys irrelevant name on it is going to be overpriced by default. Also the "PCMR" stupidity of putting an I5 in an "enthusiast" build is hilarious. Just stop. Actually for that matter a 5900 RPM mechanical drive? 5900? That's not even a standard speed for mechanical. 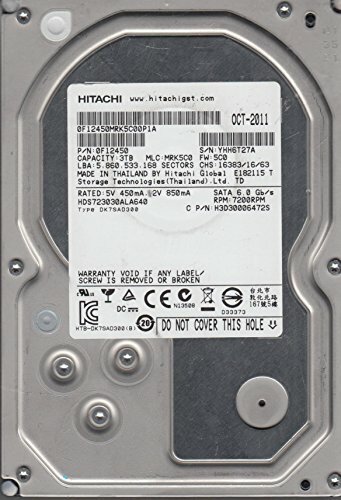 The 20 dollars you save is not worth it - just get a real drive, a 7200 2 TB. You can easily find them on sale for $69.99 or cheaper. Enthusiast builds aren't about cutting corners. Also the "PCMR" stupidity of putting an I5 in an "enthusiast" build is hilarious. Just stop. An i5 is almost as good as an i7 in performance, and there is NO reason not to use an i5. 5900 RPM drives are generally somewhat slower but are still real HDDs. How come you people never add a keyboard or mouse and monitor. Trying to make the build cheaper than it is. We all know you need them. Especially for a gaming rig. Among other reasons, it's outside the scope of the guide. This is strictly about what's inside the box (and the box itself). True, but I feel as if it a bit misleading. These guides are intended for people who want to build their own computer from beginning to advanced levels. People who are just getting into computers might not know what are good gaming peripherals to get. It would even help experienced builders on what monitors to get with proper resolutions, hz, and G-sync that their graphics card supports. If someone were to purchase this build. They would be missing key components and their budget would increase to buy the missing parts. Overall good build, just my suggestion to help others out. There are 2 reason why a mouse and keyboard are not included in many build guides. Most guides are about what is inside the box (and the box itself). As stated above by ThoughtA. A mouse and keyboard are incredibly subjective. I know my personal setup, although gaming orientated, isn't super common. Monitors kind of have a class of their own and at the same time are also fairly subjective. With that being said, there is still a plethora of monitor guides to help you narrow it down. True, but the guide says enthusiast gaming build guide, so it is targeting a specific audience. Also no computer functions effectively without these key component. Honestly name one successful build that can game without a mouse, keyboard, and monitor? I believe accessories are more subjective because they are not needed for a properly functioning PC. Like headphones, speakers , and LED lights. Whereas a keyboard and monitor are essentials for the OS UI. In my opinion the guides can be improved if it included these parts in the (box) because it won't convolute the price of peoples final PC builds. Nobody is pretending those parts aren't required. As Amakicku said, they are subjective. Necessity does not change how subjective and circumstantial preferences are for those particular parts. There is far more to monitor, mouse, keyboard, and OS selection than raw processing power or other metrics of performance. Personal taste and needs come in to play far more, and suggesting just one or a few of each of these would be doing a disservice to the readers. It's kind of like if we recommended a desk or a chair with the build. No one desk or chair is going to be acceptable for everyone. People have different spatial and ergonomic needs, along with a host of preferences. We aren't going to suggest something just to tick a checkbox off. Trying to make the build cheaper than it is. Also, that's not remotely true. We would never try to pull the wool over our users' heads. They are the lifeblood of the site. Besides, that would be an extremely silly and ineffectual way to do so. It appears you're contradicting yourself. You seem to be saying the cost for a better cooler or larger SSD is across the board not worth it. However, you're also saying it's worthwhile to drop an extra $100+ on the Founders Edition, even though it still uses a blower style cooler. Is that really $100+ better performance? That's a subjective thing, but I would disagree strongly. Additionally, if the PSUs selected are already great, I would definitely say more SSD capacity is by far more worthwhile than unnecessarily increasing PSU quality. Lol are you crazy Dan? Of course there are cards with better coolers. There is something better in every category on this and nearly every list out there. At a certain point though, a budget needs to be set, and criteria needs to be decided for what is prioritized in terms of quality. The PSU is already hidden behind a PSU shroud. You'll find that in most decent semi-modular PSUs, the fixed cables are ones you're going to use anyway, such as the 24-pin and PCI-E power connectors. Modularity on those is pointless, unless you plan on custom sleeving. The SSD capacity was already addressed in the initial description. Everyone's storage needs differ. It's very easy for a lot of people to fill up a 240GB SSD. And of course, it's very difficult for others to do so. Saying "this is is going to be fine for everyone and your choice is trash" is untrue and unhelpful. but still, it's nice to consider the options around. Absolutely. I love when people bring up alternative and, depending on circumstances, potentially better options on the guides.